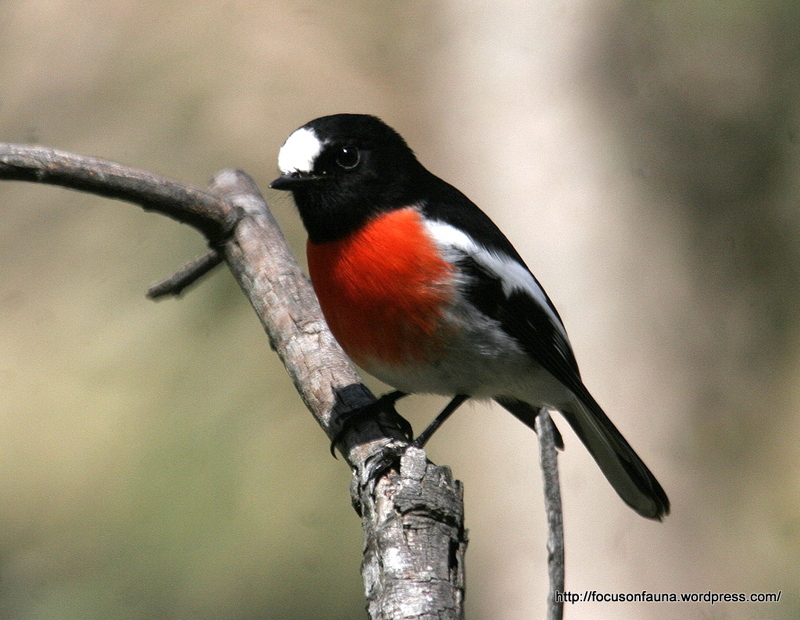 Scarlet Robins can now be seen and heard in farmland areas around Flowerdale and Strath Creek. They tend to move down from their higher, more forested summer breeding areas in autumn to forage in more open habitats throughout winter, where they can often be seen perched on fence wires. The picture at left shows the more colourful male. 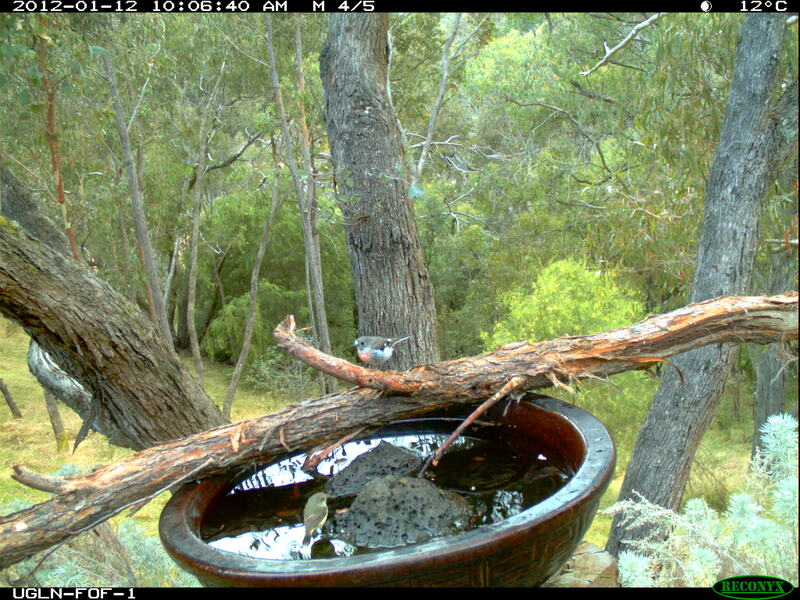 The somewhat duller female can be seen perched on a branch at a bird-bath in the remote camera image below – click on the photo for a closer look. To hear the robin’s distinctive call, click on the arrow on the icon below. ← An ancient owl & a spooky coincidence.